Affordable Kitchen Upgrades may not scream Dinner, then Dessert to you right off the bat. With today being a holiday and having my husband off work we are all about how renovations (every day off we have goes towards home repairs – yay for home ownership!). 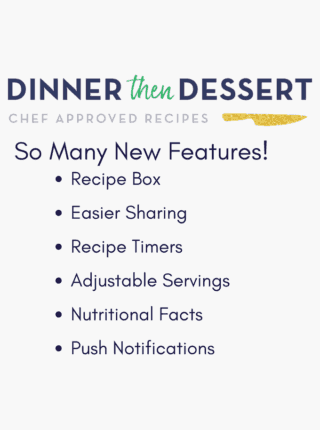 I’ve never shared house news on the blog because before I tend to stick to recipes alone. But what I am is a girl obsessed with my new (MUCH more spacious) kitchen! We bought a house late last year and my kitchen went from cozy to “hey more than 2 of us fit in here now!” and I’ve enjoyed every minute of making that space my own! The kitchen is dated, worn and while it has great bones we’ve actually been visiting Lowe’s a bunch to get ideas for lightening up the kitchen, swapping out appliances and making the spice mine! Oh and did I mention a Farmhouse sink? I’ve been obsessed with them for years seeing all my favorite bloggers who have them in their homes. When we purchased our house, one of the first projects I wanted to undertake was overhauling the kitchen space. However, you don’t have to rip everything out and start over to make a vast visual improvement in your kitchen. 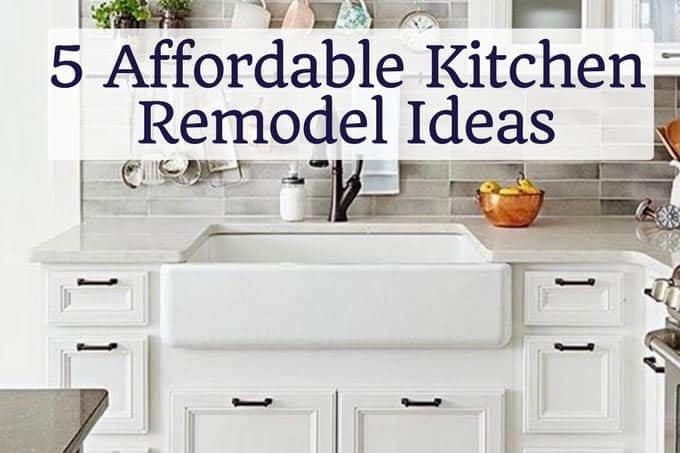 There are some small, affordable projects you can undertake at your own pace to get started on the kitchen of your dreams. The helpful people at Lowe’s, which generously sponsored this post, were instrumental in helping me implement those upgrades. If you want to get started on affordable upgrades in your kitchen too, Lowe’s is having an up to 40% off kitchen and bath event until March 23rd. Here are some design projects I believe can make a huge improvement in your kitchen space without breaking the bank. One project I wanted to undertake right away was adding a tile backsplash. The tile design really sets the tone for your kitchen because it’s right at eye level, and having a striking design to set your kitchen apart is an affordable way to drastically improve the way your kitchen looks. For me, the kitchen sink is more about function than it is about beauty. I want a heavy-duty sink because during a long day of cooking, all sorts of pots and pans are going to be hitting it. 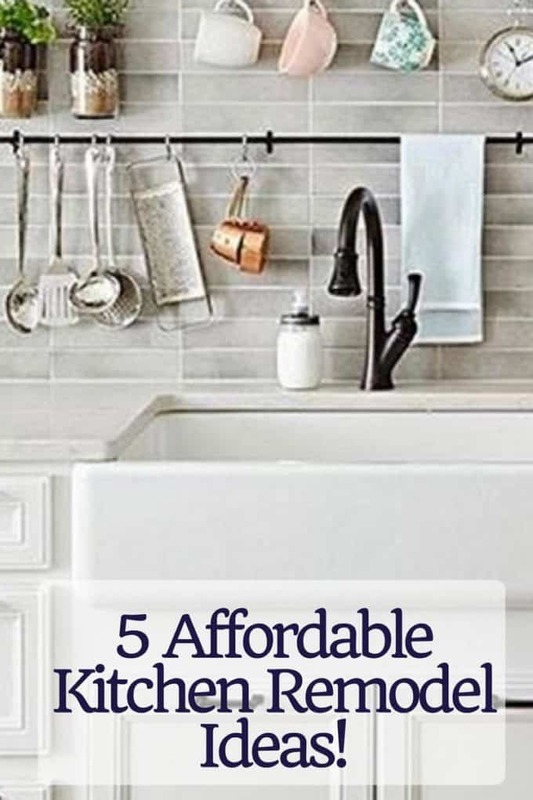 If you have an old, small, or shallow sink, this is definitely an area of your kitchen you’ll be wanting to look for an affordable upgrade to. This farmstand sink is right at the top of my list for the new upgrades! The right lighting fixture is also a very affordable way to improve your kitchen space. I tend not to look for anything too flashy in a light fixture – I’m looking mainly for a setup which provides ideal lighting rather than a distracting chandelier. For cabinetry, your main concern is keeping with your design theme from the rest of your house. Personally, I tend towards a simpler style which really allows the backsplash to shine, but I do gravitate towards fancy but tasteful knobs and handles which can be a really inexpensive way to add a touch of class to your kitchen space. As the largest appliance in the kitchen, and probably the most frequently used, the refrigerator tends to dominate the room. That’s why it’s important to select the right refrigerator for your kitchen – even if the fridge is the first piece you’re selecting for an upgrade, make sure that it fits with your planned final design. The type of fridge that appeals most to me is a stainless steel side-by-side model. If this all sounds intimidating and you’re not sure where to start, don’t worry! Lowe’s has project specialists in-store who can help you in designing your kitchen. Loving all of your ideas and Lowe’s is definitely my go to for all things remodel! They really have everything you need! Thanks for sharing!!! We’ll have to check out the event! Were considering a kitchen remodel in the future! I would love to have any of these ideas! And we love Lowes, in there at least once or twice a week! All of these kitchens are beautiful! I think the first one is my favorite! It’s so beautiful, isn’t it?! I just love the amount of room that it gives! Good luck on house hunting! !